View 1 outlet store where you can buy White Rose. HUGE BRIDAL SAMPLE SALE ! Big brands, low prices. Up to 70% off sample bridal gowns, sample sale also includes bridesmaids, evening wear and accessories. All types of styles available. All alteration and restyling available in house. All ex-sample wedding dresses considerably reduced, sold as seen. All in fantastic condition. Up to 50% off. Please visit web site to book an appointment. OUR BIGGEST SAMPLE SALE YET! 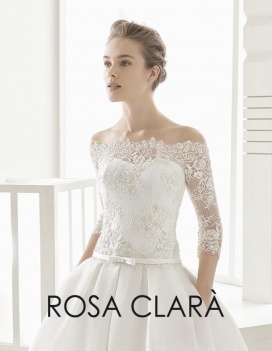 Up to 70% off on designer wedding gowns, bridesmaids and accessories. We also offer alterations and restyling options. Our biggest sample sale including wedding gowns, bridesmaids, shoes and accessories. Up to 60% off big brands. Dresses range from sizes 10-16 and all dresses can be altered to fit, all done in store. All dresses are in maculate condition. By appointments Only. Huge samples sale including designer wedding dresses, bridesmaids and accessories. We offer alterations also as sizes vary. All shape dresses available. Mia Sposa will be hosting a Sample Sale featuring the creations of bridal gown designers Maggie Sottero, St. Patrick, Donna Salado, White Oone, Mon Cheri, Novia D' Art, Willowby, White Rose, & Loulou. Gowns are available for only £450 each. HUGE BRIDAL SAMPLE SALE NOW ON! Wide range of designer wedding dresses on sale for up to half the price and less! Sample sale included bridesmaids dresses and accessories. Dress sizes range from 10 - 16 however we offer alternations in house so making dresses bigger, smaller or restyling is possible. Shop for stunning prom and bridal gowns and accessories at reduced prices at the Fairy Goth Mother Sample Sale. Bridal gowns are available at £250 to £750 only. Gowns for bridesmaids can be purchased for only £50 to £195. HUGE SAMPLE SALE! UP TO 70% OFF! Sample sale including wedding gowns bridesmaids, evening dresses and accessories. Sizes 10 - 16 however dresses can all be altered. All dress styles available. Fairytales biggest sample sale! Up to 80% off wedding gowns! Samples sale also includes bridesmaids and accessories. Alterations and restyling also available. Fairytales biggest sample sale! Up to 80% off wedding gowns! Samples sale also includes bridesmaids and accessories. Alterations and restyling also available. Sample and off the peg sale. Huge sample sale. Designer dresses going for up to 50% off! Sample sale also included bridesmaids,shoes and accessories. Fittings and alterations all done in store. 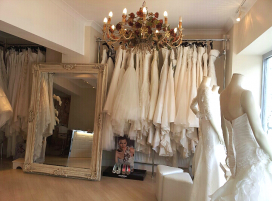 Exclusive designer bridal gowns and accessories going for less than half the price in immaculate condition in sizes 8-16 and we also offer alterations in house. Top designer bridal gowns on sale for up to 80% off due to discontinuation including shoes and accessories. samples sizes range from UK 8-16 and alteration can be offered in house. Our gowns are starting at £299!! Appointments are £10 which is deducted against your final order. Please contact us on 02077367776 and reference that you are attending for the sample sale.